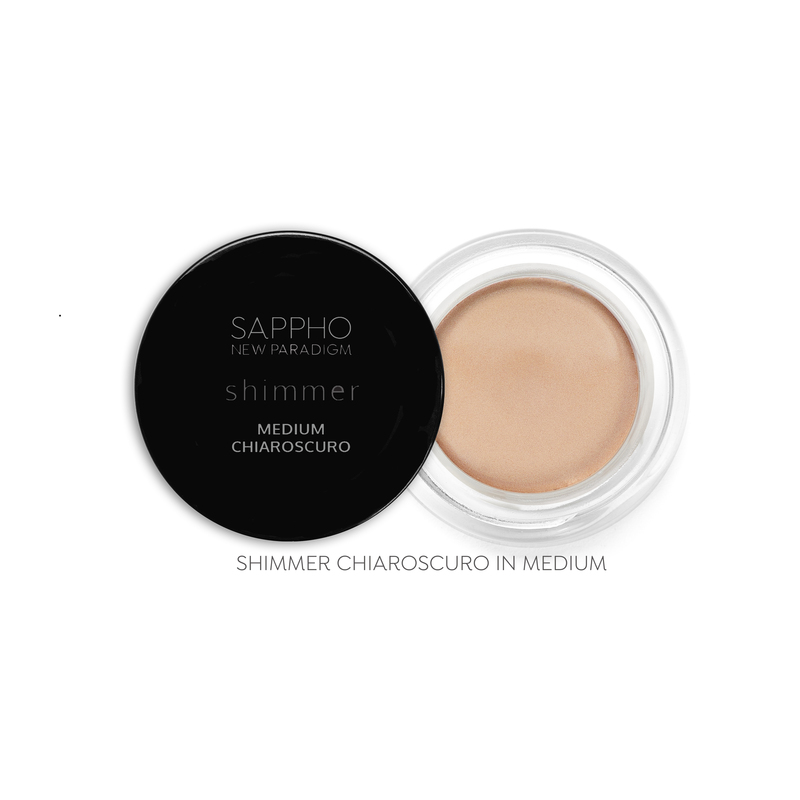 Rev up a naturally glowing look with Sappho Chiaroscuro Shimmer. 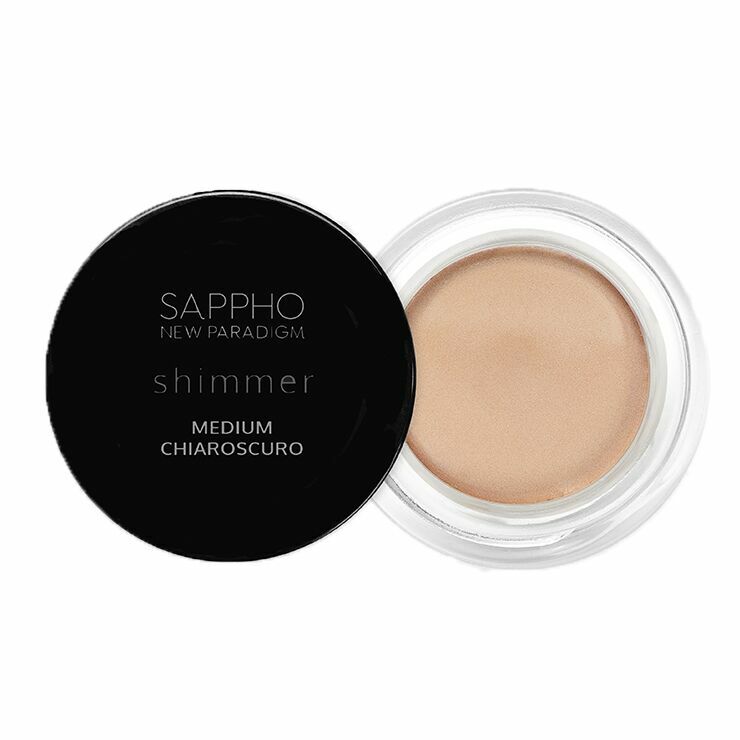 A lit-from-within appearance is yours in an instant with this beautiful pot of shimmer highlighter. Jojoba and coconut oils offer a feel of light hydration, while argan oil lends a look of even skin tone and youthfulness. Licorice root visibly brightens skin and chamomile provides a soothing sensation. Mineral pigments create three natural hues with subtle shimmer. Skin feels silky soft and carries a look of other-worldly luminescence. There are so many ways to use this versatile beauty it will soon become a favorite. Apply to areas of the face that the light hits naturally — cheekbones, brow bones, bridge of nose, and cupid’s bow. May be worn under foundation for an ethereal effect or over makeup for a more intense look. Perfect for use as a highlighter or to add contouring to the face. Ricinus Communis (Castor) Seed Oil*, Cocos Nucifera (Coconut) Oil*, Euphorbia Cerifera (Candelilla) Wax, Jojoba Esters, Copernicia Cerifera (Carnauba) Wax*, Tocopherol, Argania Spinosa (Argan) Oil Infused With Calendula Officinalis Flowers, Glycyrrhiza Glabra (Licorice) Root, And Matricaria Recutita (Chamomile) Flowers*. May Contain: Mica, Titanium Dioxide, Yellow Iron Oxide CI77491, Red Iron Oxide CI77499, Black Iron Oxide CI77492,CI77491,.